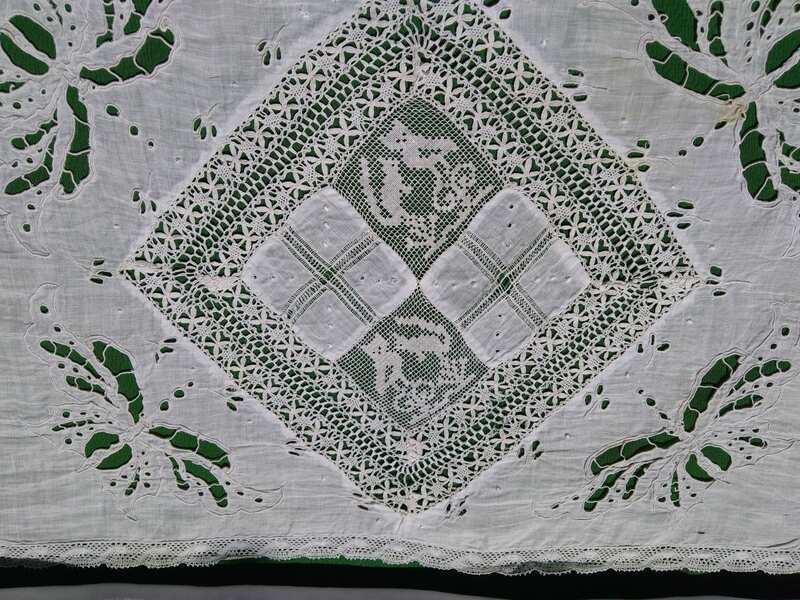 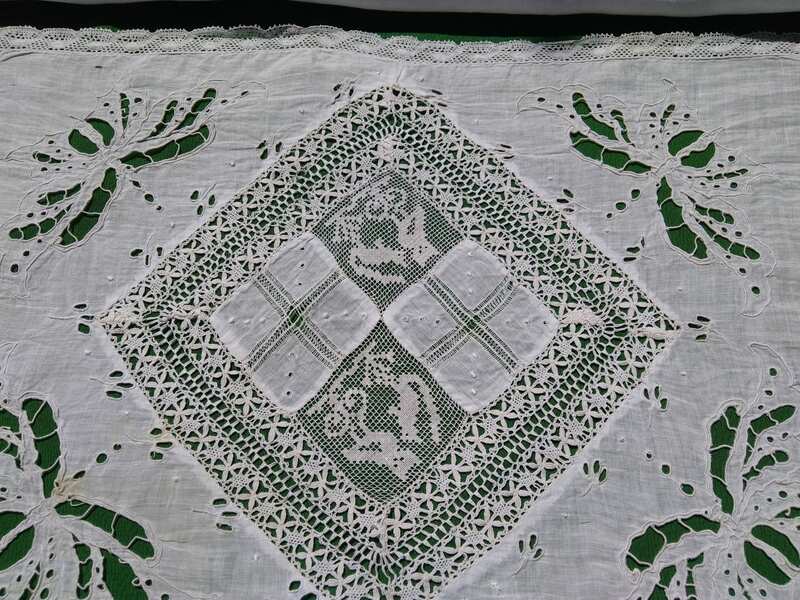 Beautiful Antique French Lace Runner. 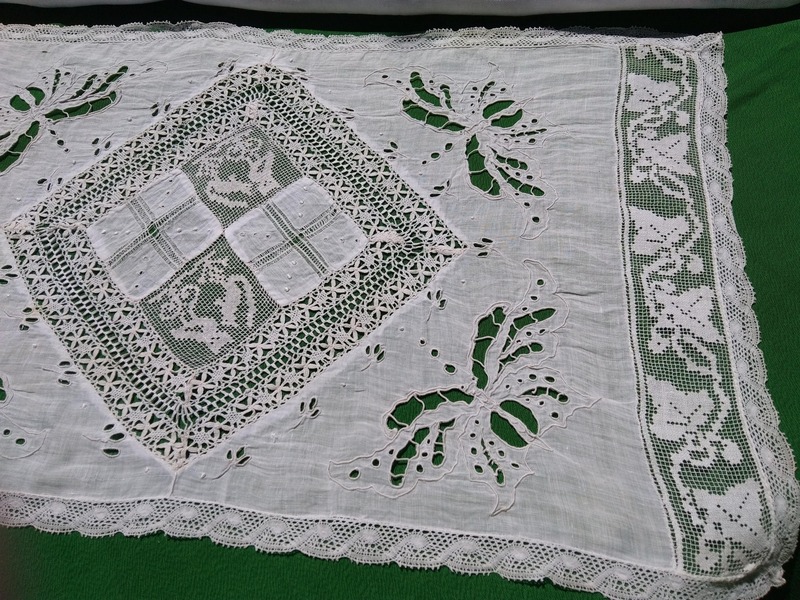 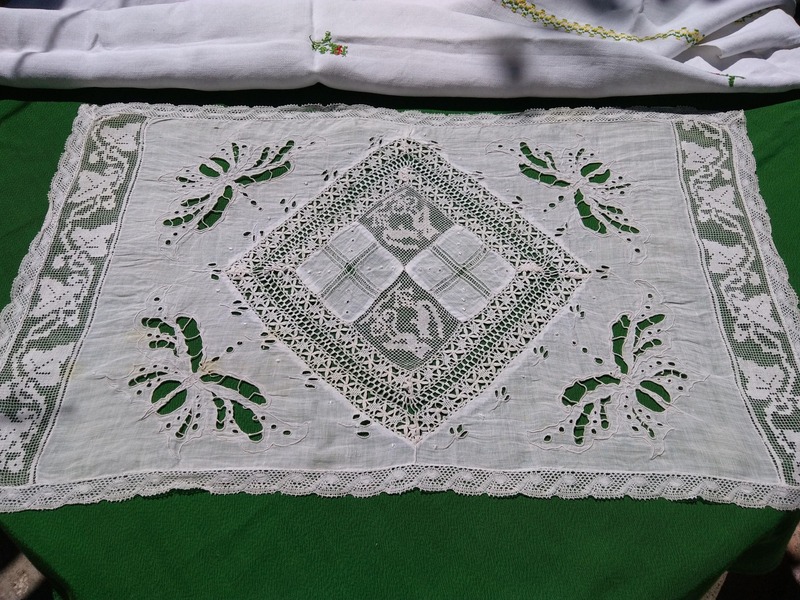 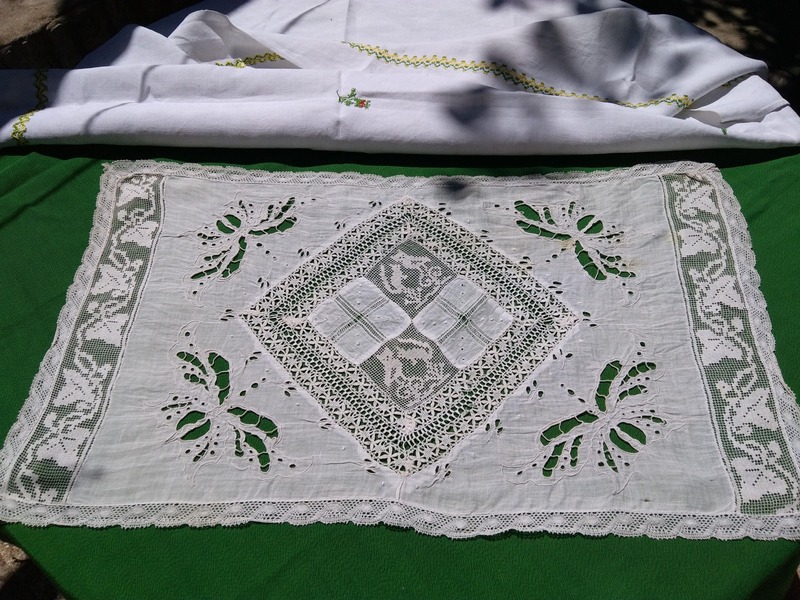 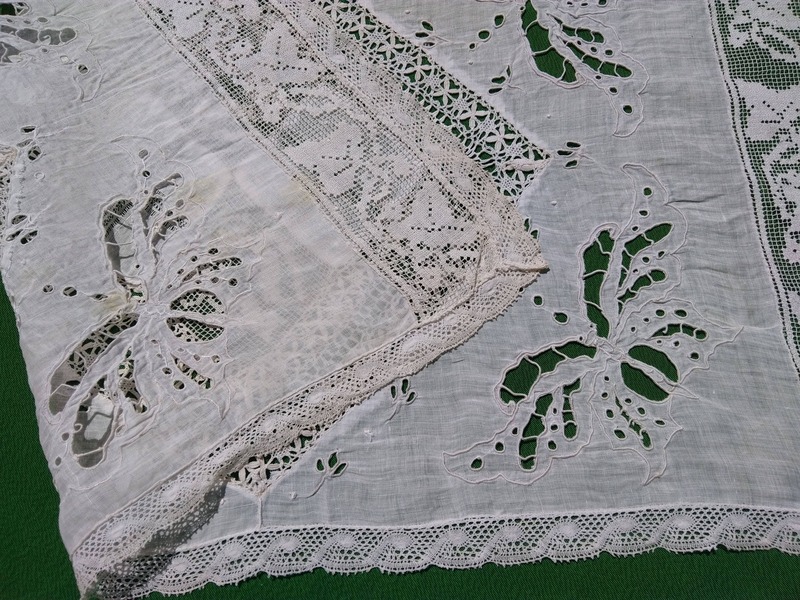 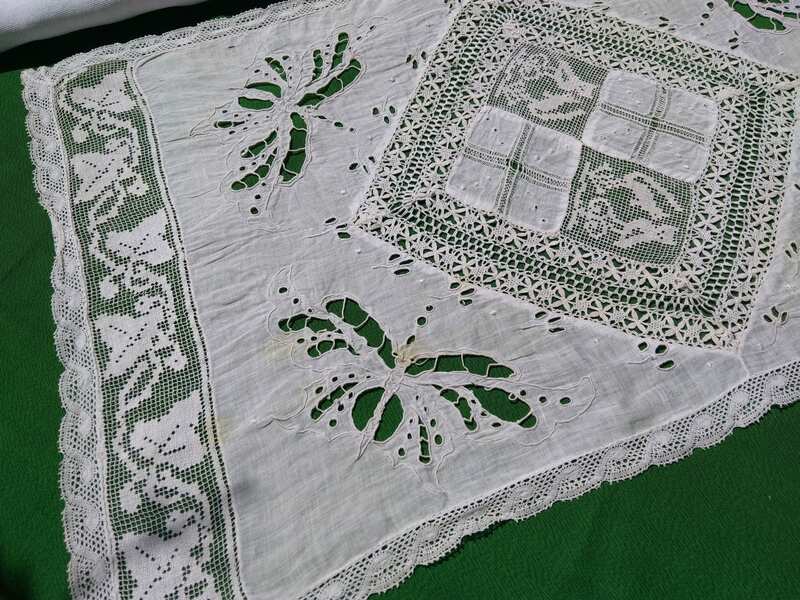 White cotton handmade with cut works , lace inlays and needle lace. 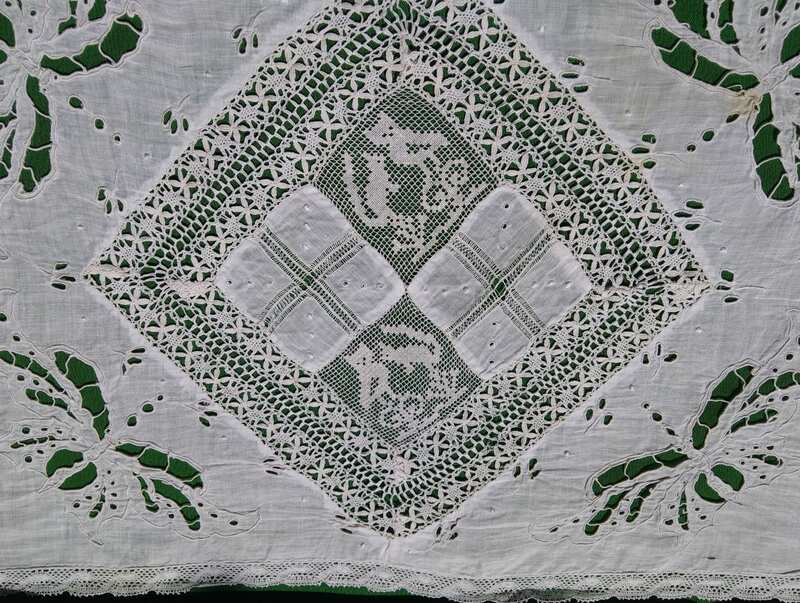 Buttefly, Owl, Squirrel, Ivy Leaf.